Mihaela Gilca is a student of International Relations at the Rhine-Waal University of Applied Sciences. 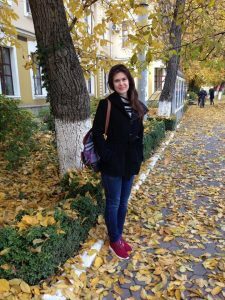 As part of the study programme, she spent some months at the Ministry of Education of Moldova, working as an intern in the area of Vocational Training. Moreover, she was an active participant of many projects and workshops such as the EYP (European Youth Parliament) , AIESEC, ACES. Currently, Michaela works as a Social Media Representative, freelance journalist and English teacher.